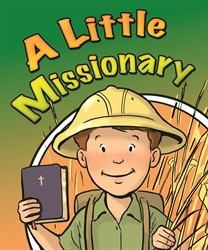 A child can be a little missionary right now! Use this visualized song to help children develop a tender heart for God’s great commission to all believers. This 8-page book on sturdy card stock includes three verses with the sheet music on the last page. Gr. 1–3.